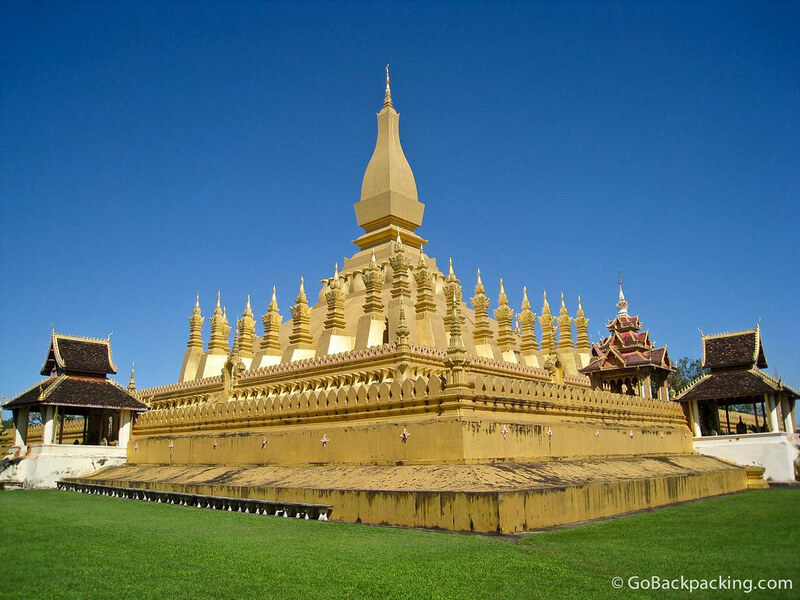 The 45-meter tall Pha That Luang Stupa in Vientiane is a national symbol of Laos. The stupa has had a long history of being destroyed and rebuilt, and is thought to contain a relic of the Buddha. Nice photo, Dave. I’m surprised you were able to get this shot without any people in it. I don’t remember what time of day I visited, but there were only a few people around.